It blows my mind that somehow this slipped past me despite being played repeatedly during every Christmas season. It’s easy to see why this is a holiday favorite — it really is the quintessential Christmas film. Equal parts heartwarming and inspirational, It’s a Wonderful Life takes us into the life of George Bailey (Stewart), a man on the brink of suicide. Lucky for him, his guardian angel (Henry Travers) is sent from the heavens to intervene and show him all of the lives he has changed for the better over the years. It turns out that his life isn’t so bad at all. Starring Christian Bale, Hugh Jackman, Michael Caine. When it comes to Christopher Nolan, I am generally a fan of his work, though I do not hold him in as high of regard as most. The Prestige, however, damn near succeeded in making me a fanboy. This intricately detailed portrayal of two magicians (Bale and Jackman) who continually try to upstage each other really impressed me. The movie starts off fairly tame, with both men sabotaging each other’s magic shows, but it quickly grows lethal to the point of multiple fatalities. This culminates in a twist ending that I did not see coming at all, and it is one that warrants extra viewings of the film in order catch on to hints and tricks. For me The Prestige’s success lies within its brilliant character battle between Hue Jackman and Bale. While it does go into science fiction, the best part of the film is the human side to Bale’s character’s tricks. The ending is more powerful than creative, I think. Thanks, Matt! I agree that it was fascinating to watch the two magicians attempt to top each other’s last “trick”. It didn’t take long for it to spiral out of control. Loved the ending as well, especially as I didn’t see it coming. Bit of a crazy mix up there my friend!! You know my thoughts on Wonderful life… LOVE IT!! Woo hoo, 10/10 for IAWL, it truly is a masterpiece, glad you finally saw it! I have yet to watch Mr. Smith Goes to Washington but I will at some point as I like James Stewart a lot. As for The Prestige, I actually appreciate it more on second viewing, the story is just amazing. Man, that Nolan. Yep, I had to go the full monty for It’s a Wonderful Life. My initial thought was to rate it a 9/10, but when writing down my thoughts I couldn’t think of anything I actively *disliked* about the movie. You should definitely check out Mr. Smith if you like Stewart/IAWL; it would make a terrific double feature, actually. 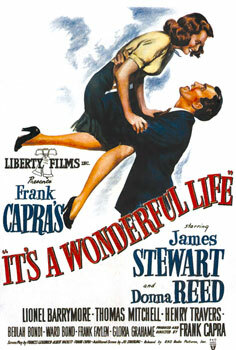 Still need to see ‘Wonderful Life’ and I promised myself I would this Xmas. Oh well, next year DEFINITELY! Prestige is brilliant, bowled me over by the end. Consider my gob smacked! Oh, loved The Prestige, Nolan’s film for me was far superior to The Illusionist (with Edward Norton) that year. Its one of my favourites Nolan has directed for sure. Hi Chris, thanks for the comment! I think that’s a fair analogy for It’s a Wonderful Life, though I thought it was very entertaining from beginning to end. There was just enough humor intertwined to keep my interest. (My holiday booze may have helped as well, haha). I’ll be sure to check out your review. 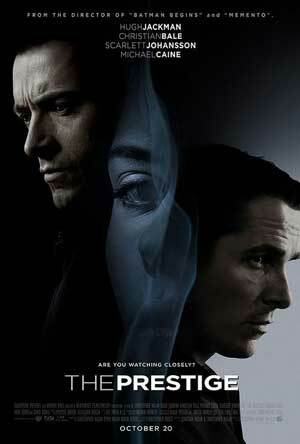 I haven’t had the chance to see The Illusionist yet, but I am curious to see how it compares to The Prestige. Oh, awesome, glad to hear you liked The Prestige! I keep hearing The Illusionist isn’t as good, but I will probably check it out at some point just for comparison’s sake.